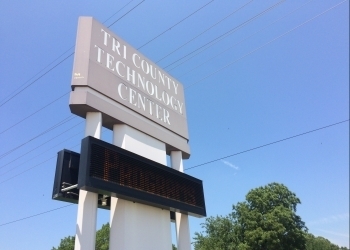 Tri County Tech will hold summer camps for local youth when warmer weather revisits the area. Business Development Specialist Kyle Ppool say the program was successful last year and they want to add more kiddos. He says they had about a 98-percent enrollment. The program hosted 4th through 9th graders. This year's summer camp programs will welcome third graders, Ppool says. Ppool says not all the details have been finalized for the summer camps yet. He does say that the programs will probably take place the first three weeks of June. The full details could come out by March 1st for those interested in having their children in the programs. He believes if parents enroll their student in March and April, they will get a discounted price for the summer camp programs. The younger students, Ppool says, will get to be part of two camps in during the week their grades are at camp. Art, culinary, engineering, foresenics and other courses will be offered. He says there will also be extended hours in the afternoon for parents that need to keep their children at the camp a little longer while they're at work. Ppool say Tri County Tech loves the joy the children have when they participate in their summer camp programs.